Talks are continuing tonight at the Department of Agriculture to try to reach an agreement with pig processors on reopening their factories. The Minister for Agriculture and Food, Brendan Smith, said he hoped for an early agreement but there were still tough issues to be dealt with. A 13-hour session of negotiations on the package yesterday ended at 1.30am this morning. The European Food Safety Authority has concluded that there is little concern for human health arising from the discovery of dioxin in some Irish pork. The authority said that if someone ate an average amount of Irish pork each day during the 90-day period of contamination, 10% of which was contaminated at the highest recorded concentration of dioxins, there would be no concern for personal health. It said that in a very extreme case if someone ate a large amount of Irish pork every day, that while the acceptable weekly intake would be considerably undermined, this would not necessarily lead to adverse health effects. The EFSA says it has calculated several exposure scenarios for people that have consumed products with different proportions of contaminated pork. It concludes that the low health risks outlined fall even further if someone has consumed a product with a small percentage of fat from contaminated product. The authority says it has based its statement on the health risks in Ireland on limited data provided by the European Commission. Last weekend's recall followed the discovery of contamination in pig feed by a dioxin known as PCB at levels between 80 and 200 times the safe limits. 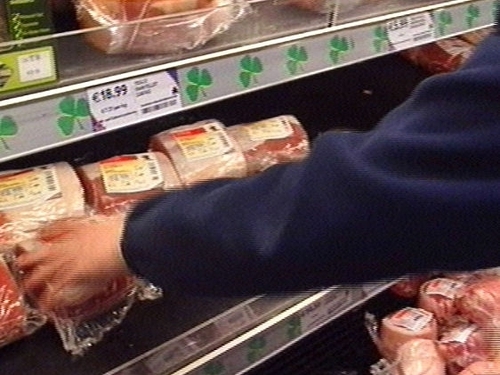 The Irish Farmers' Association's pigs committee is demonstrating over the delay in resuming pig slaughtering following the recall of pork products. Pig meat producers are demanding the immediate reopening of the country processing plants and they said the closures are costing farmers €1m per day. Around 100 producers have begun a protest outside the Department of Agriculture this afternoon. Talks involving the Taoiseach, the Minister of Agriculture, and pigmeat processors adjourned at the Department of Agriculture overnight, but resumed this morning. Processors have been demanding a multi-million euro package from the Government to assist them with the recall of pork products and with the storage of pig carcasses once processing resumes. The Government is understood to be putting pressure on the banks that back major pork processors to be more flexible in their approach. Taoiseach Brian Cowen referred to those who back the pigmeat plants having a role in getting them back into production in the Dáil this morning. Speaking on RTÉ's Morning Ireland, IFA pigs committee chairman Tim Cullinan said farmers wanted processing plants to be reopened as soon as possible. Elsewhere, Department of Agriculture chief veterinary officer Paddy Rogan is in Brussels to tell his EU colleagues that Irish beef is safe and can continue to be traded normally on both domestic and export markets. Yesterday, the public was told there is no risk to public health from Irish beef products despite a small number of positive PCB tests. Out of 11 herds for which results were available, three tested above legislative limits for PCBs in beef. A cross-border probe involving gardaí and the PSNI is also continuing into indications that the oil-tainted animal feed at the centre of the pork contamination was sourced in Co Tyrone. The Environmental Protection Agency and gardaí are examining activities at Millstream Power Recycling Limited, Co Carlow, where oil used in a burner to heat food products being recycled as animal feed was deemed ‘inappropriate’. In a statement, Millstream Recycling said that the company had only ever purchased the oil from a legitimate supplier in the Republic of Ireland. Carlow County Council has confirmed that it has issued a directive to Millstream Power Limited in under the Waste Management Act. 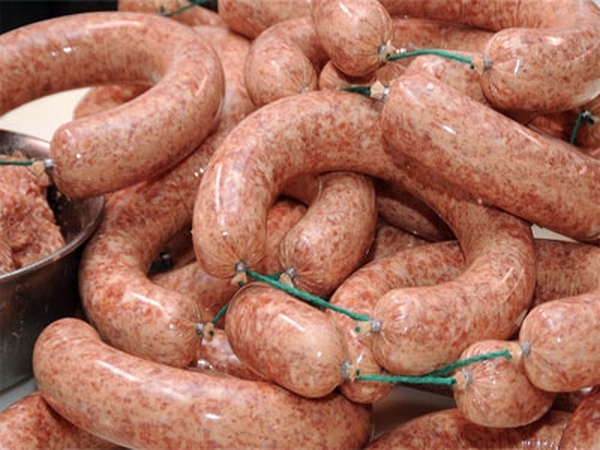 The directive is believed to be linked to the waste disposal of the 'inappropriate' oil detected at the plant that has led to the recall of pork products. In the past 48-hours, considerable quantities pf the oil has been removed to a facility in Co Laois for safe disposal. Meanwhile, the Northern Ireland Environment Agency has confirmed that it is now carrying out an audit of an oil recycling facility in Co Tyrone.